The Guild of Beauty Therapists is the largest professional beauty trade body in the UK. 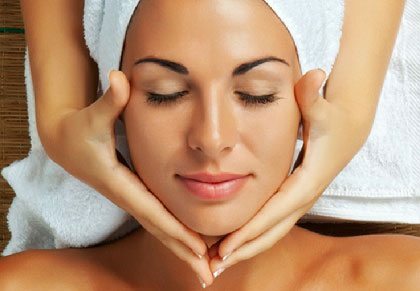 The Guild has been established for over 20 years and has over 8000 members who are fully qualified beauty and holistic therapists. Membership with the Guild offers a range of benefits insurance for members as well as a free subscription to the Guild Gazette magazine and industry news bulletins. As well as this, the Guild offers additional services such as recruitment, online training courses, gift vouchers and accreditation of private training courses. Insurance – Upon becoming a member, the Guild insurance policy provides you with instant cover for all standard beauty, nails and holistic treatments. It also insures you to work anywhere in the UK from home, mobile or in the salon. Receive a Guild certificate – Show your clients that you are fully qualified and a true professional. Entry in the Professional Register – The Guild runs three professional registers for Beauty Therapists, Holistic Therapists and Nail Technicians. Entry allows members of the public to search for qualified and insured therapists in the area they are interested in. Use of the Guild logo’s and initials – Full membership gives access to the Guild logo’s for use on business cards, websites etc. It also allows you to use Guild Initials after your name to demonstrate your professional status. Guild Gazette – Receive exclusive news and the latest products, treatments, industry developments and advice from experts. Professional Advice and Services – Members have access to exclusive business advice and support via the Guild’s Professional and Business Helpline. Members are also entitled to a free Health & Safety consultation and initial telephone advice on Employment Law with Peninsula Business Services. As well as many additional benefits such as Gift Vouchers, National Promotions, free classified advertising and two free Recruitment adverts per year.